Black Face is a winner of a Gold Medal at Japan’s Fine Sake Awards 2014. 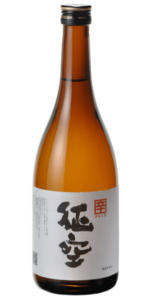 It is a Junmai Daiginjo, the most delicate and refined style of sake. 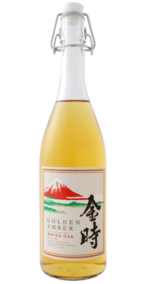 Junmai Daiginjo requires the rice grains it is made from to be milled to at least 50% of their original size, allowing access to the delicate and often fruity flavours found in the centre of the grain. Although you might expect a very fruity and fragrant nose with a junmai daiginjo, Black Face bucks the trend and instead has a simple and delicate fragrance with hints of banana and fruity apple coming through. The acidity in this sake provides an engaging impact that slightly sizzles on the tongue. Dry, with an exceptionally clean, pure and refreshing flavour Back Face pairs wonderfully with foods that have one or two prominent flavours. It has enough acidity to stand up to fattier or oilier foods and will help spread these delicious flavours around the mouth – great with fatty salmon sushi, for example.